Why am I creating a website? You have to determine if it’s an e-commerce site, a blog, a lead generation website, or a mix of several things. By knowing this, you narrow down the very broad content possibilities and focus on your target audience. What’s the purpose of the website? Is it going to be for entertainment, to serve as a portfolio, to sell products or services on, or gather email addresses of potential customers, or also a mix of these? When you know what your website is for, your content will be written in a form that drives the audience to fulfill your purpose. Your goals may change as your website starts to achieve them, but being able to define them will give you a clearer path of the bigger picture. “Best” Titles. For example, “The best SEO tips,” or “The best blog names,” etc. Having these kinds of titles can greatly help in your search engine optimization (SEO) efforts because numerous searches include “best” on the keywords. Everyone always wants the best, right? Readers are on a race. Most people want to have the quickest and fastest solutions. So if you have a title like, “The quickest way to earn passively,” it’s going to attract more readers than merely, “Ways to earn passively.” If you have a product that can deliver this quick or fast solution to whatever they need, they might even become conversions. Listicles. Listicles, or list articles, are also an effective way to catch attention, especially for readers who want to go through a list rather than big chunky texts. 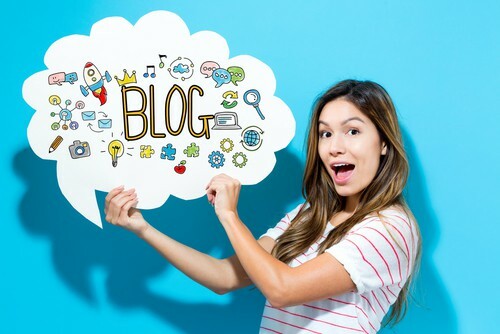 An example is, “10 common mistakes you’re doing on your blog,” or something similar. The competition headlines. Headlines that compare products or services are to draw attention especially for those who are having difficulties in making a decision. One example is, “Miami vs. Malibu: Which is better for a summer getaway?” They will click on your content in the hopes that your article will help them come up with a decision. Clickbait titles. Clickbait titles are those that don’t give you enough information about the topic but interests you enough to read it anyway. For example, “An entrepreneur used his ex-wife’s pet as a business mascot. How people respond is surprising.” When using this, make sure that your content is actually valuable rather than just being a click bait. Using the given example, readers will be put off from reading other articles you’re going to have in the future if the content didn’t “surprise” them, even a bit. 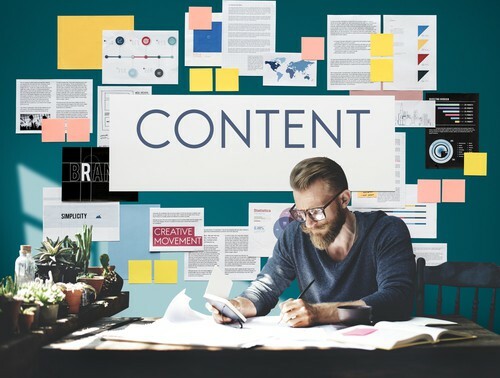 The purpose of your content is to draw readers, so you should ensure that their needs, wants, or interests are catered by what you’re offering. By considering your audience in every article or content you’re writing, you’re going to earn their loyalty, and they might even go as far as promoting your website. How do you achieve audience-centered content? Create a target audience. Having an audience isn’t enough. You need to have a target audience so that you can achieve your goals – whether sales, traffic, or creating an email list. Target content marketing is used to gain more customers. For example, if you’re content is being read by hundreds of college students who can’t afford your luxury travels, then it’s not going to help your business. Instead, you want readers who are young or older professionals, earning more than $80,000 who can buy your luxury travel packages. Review the statistics of your content. When you know which articles are doing well more than others, you know where to redirect your composition of the lesser performing ones and what strategies to maintain. Look at the demographics of the readers, the date and time it was published, the social media shares, etc. Understand your audience’s pain points. By creating more content which addresses their issues or difficulties, you give your audience the feeling that they can rely on you for help. For example, if your audience is not able to find enough resources for luxury travel in Africa, then provide content for that pain point. Know your competition. “Keep your friends close, and your enemies closer,” isn’t a popular quote for no reason. When you know your competition and research enough to understand how they do their business and how they present themselves to their audience, you can use it as leverage on what your next steps will be. If your competition has a “Luxury you can afford” campaign, then you might want to come up with something more clever which of course, still bears your target audience in mind. Facebook. Facebook is the number one social media site globally. If you’re a brand, personality or business, it’s best to create a business page and put yourself out there. Create posts whenever you publish something new on your website and make use of Facebook Advertising. Instagram. While Instagram was formerly known to merely display photos, many businesses have now stepped into the platform as well. When your brand has a very good visual aesthetic, or you sell physical goods, Instagram can help through links in your business page’s bio, hashtag strategies, promotions, and other features. You can even invest in an influencer marketing strategy to have a more extensive audience reach. We all want our websites to gain traction, and it can be challenging with all the stiff competition. However, there’s definitely ways that you can stand out positively and be a reputable source of content. Practice and master the content writing strategies we’ve provided, and you’ll surely reap the benefits. This entry was posted in Digital Marketing on December 4, 2018 by Michael Pignataro.